You wish to live in Tours to start or continue your studies? You don’t want to worry about the relocation and all the hassle around it? 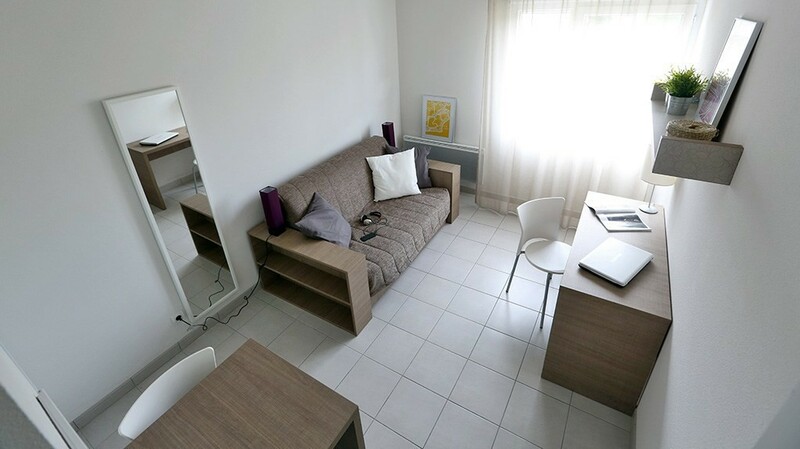 Study’O offers furnished rental studios in Tours. Our Study’O residence in Tours is located opposite the Campus of Grand-Mont, Faculties of Sciences, close to shops and public transports, easy to move around in town. We offer you the choice among 127 apartments, from a 19 m² studio to a 35.5 m² one bedroom apartment, choose the one that suits you most. Our furnished rental studios in Tours are available for rent as from €432 / month, a financial housing aid is possible, check with your CAF office. Our residence offers a range of à la carte services to facilitate your daily life, do not hesitate to ask for more information. Our reception is open from Monday to Thursday from 8:30 AM to 1:30 PM and from 3:00 to 6:00 PM and on Friday from 8:30 AM to 1:30 PM and from 3:00 to 5:00 PM. Our residence with furnished rental studios in Tours is ideally situated, close to schools and universities, to shops and to public transport, for your maximum convenience.